Coursera – OMG MMD Final is coming, are you ready! 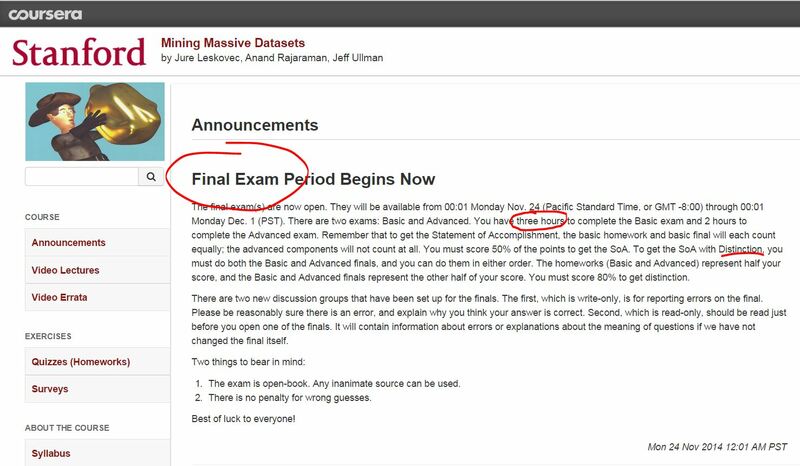 The true power of Coursera is not only the accessibility of its learning materials but also the true pressure from the deadlines! Deadlines of homework, deadlines of quiz and now is the timing of final!